From Minerva McGonagall to teenage Tom Riddle, here are 5 Potter characters for future 'Fantastic Beasts' movies. We are never going to see Harry, Ron, Hermione, or the Weaseley twins in the Fantastic Beasts and Where to Find Them franchise. We won’t even see the Marauders at all, because they attended Hogwarts in the 1970s. The five Fantastic Beasts movies will span from 1926 to 1945, which means that it is only feasible for the oldest Potter characters to make appearances. We already know that a younger Albus Dumbledore is set to star in future installments, but he’s not the only one who could find his way onscreen. Here are the most logical and exciting possibilities. 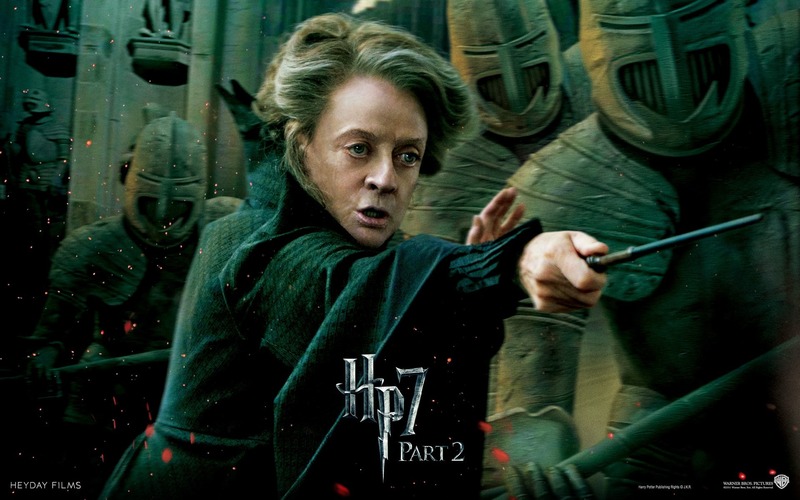 Minerva McGonagall would be the most welcome appearance, as she is a pure delight. According to the Harry Potter wiki, she was born in 1935, which means she would have to appear in the final film as a ten-year-old. Luckily, Pottermore has revealed her to have quite the fascinating past: her father was a Muggle who struggled with his place in both a magical family and the wider wizarding world. As a result, her parents had a strained relationship and young Minerva has always been wise beyond her years. Just imagine young Dumbledore or even Newt Scamander having a chance meeting with ten-year-old Minerva. As we know from the end of Fantastic Beasts, the dark wizard Gellert Grindelwald will play a larger role in future installments. Because the final film is set in 1945, we can assume it will chronicle his epic duel with Dumbledore. In the duel, Dumbledore will win the Elder Wand. Audience and characters alike could therefore use a refresher on the confusing magic of wandlore. Who better to give it than a young Ollivander? Although Neville’s tough, vulture-hat wearing grandmother is a minor character in the Potter books, she makes quite the impression. Like Andromeda Black, she is tasked with raising her grandson when the unthinkable happens to her family. (Recall that Neville’s parents were tortured into insanity by Bellatrix and Rodolphus Lestrange.) Rather than succumbing to depression, she encourages Neville to fight. A young Augusta would therefore be quite the firecracker. The most disappointing aspect of Fantastic Beasts is the fact that Colin Farrell’s magnetic and menacing Percival Graves will most likely not return in the franchise’s future installments. However, the Wizarding World has no shortage of tough Aurors who can fill in that space in the story. What would be more fun than seeing a young Mad-Eye Moody with the same loose-cannon personality yet both eyes intact? The young Voldemort graduates from Hogwarts in 1945, so it’s all but a given that he’ll appear in the final film. As Grindelwald is defeated, a new Dark Lord rises. There’s no way J.K. Rowling can resist the poetic inevitability there; the sense of history repeating itself. Although the teenage Tom Riddle has his nose intact, we know from Half-Blood Prince that he had already started his Horcrux plan. Even if he just appears in an epilogue, then, it would be a fitting close to the Fantastic Beasts franchise.